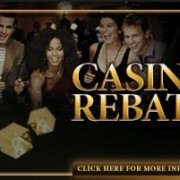 Deluxe77 Casino Malaysia 0.3% cash rebate weekly only applicable on slot games. 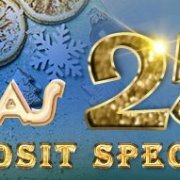 Deluxe77 Casino Malaysia Promotion starts on 00:00:00 (GMT+8) 01 March 2016 until 23:59:59 (GMT+8) 31 March 2016 . Minimum payout for this promotion is RM10, no limitation for maximum payout. 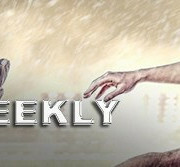 The rebate bonus promotion will be deposited into member main wallet on every Monday after 12:00pm (GMT +8) onwards. 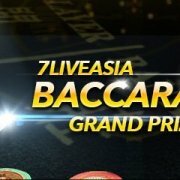 Promotion is open for all Deluxe77 Casino Malaysia active members. NO LIMIT & one time ROLLOVER only. This Promotion can be combined with other bonus. 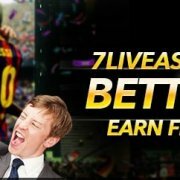 However, the rollover requirements for the other bonus claim are to be deducted from the total wagered amount. 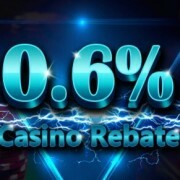 Any bet place on Deluxe77 Casino Malaysia Slot is eligible for the 0.3% rebate.